There are tons of folks annoyed about how complex is trying to Transfer Music from computer (Windows or Mac) to their iPhone, iPad or iPod. So, I decided to clarify the best and easiest way to put your music quickly to your iDevice without having to use Apple iTunes in this article. Actually, I wrote this tutorial to explain the quickest and easiest way to transfer music from your Mac or PC to your iDevice for free by using the best alternative program for iTunes which is iTools. Note : If you wish to transfer file from an iDevice to your computer then feel free to check my two articles (Transfer iOS Files & Transfer iOS Information). You can use that method to import your desired song to any Apple iOS Device without having to use Apple iTunes so you can enjoy them happily. Simply, make sure that you already have Apple iTunes installed on your Mac or Windows (you are noy going to use it). Great, now just follow (below) four steps to get ready to transfer your data from an iDevices. While you are in the Welcome Screen, insert your iDevice using the original USB Cable and look at the left sidebar where you find you Device's name when it's done. After that, several icons will appear and what you are going to do is choosing the Media from options among. How to Transfer Music to an iDevice? 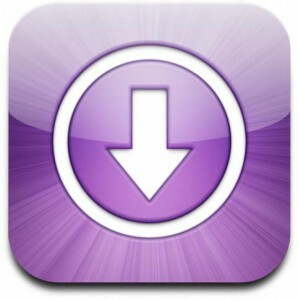 To download your Music to your iDevice you will have to click on the (Media) option from the left sidebar in iTools. Then, you can press on (Import) to select the songs that you wish to put and if you want to import all music in in one folder you would have to press (Ctrl + A) on your keyboard. 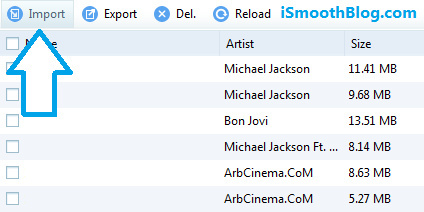 To do so, choose from the top bar (Import) icon and a menu will appear asking you to select your desired music. Now that you have your songs selected and you just need to click on Import Button to start transferring them to your iDevice.